Why do we need to update softwares ? Upgrades introduce improvements and new features that continually increase your efficiency and time . Avoid being stuck with the obsolete versions . Updates correct bugs encuntered in prior version . There are so many reasons for why to update softwares.So now lets see how we can update softwares on Kali Linux . To open Software updates goto > System Tools > Software Update . 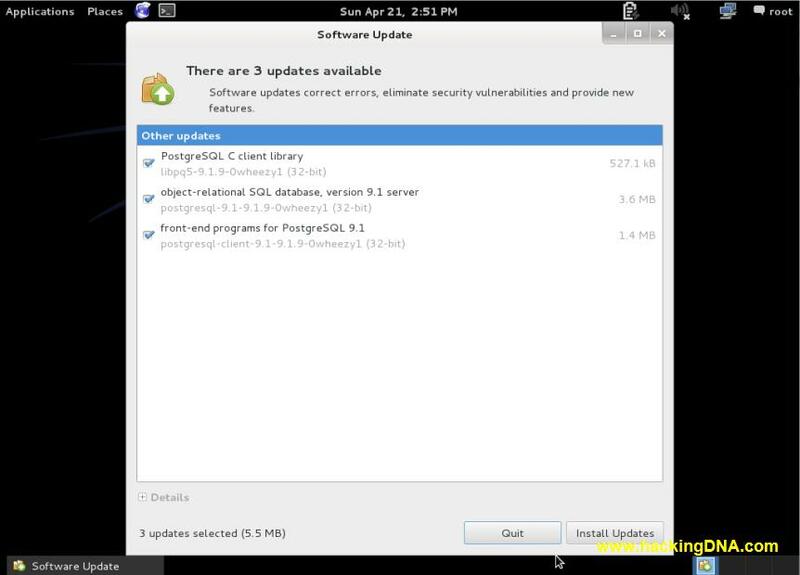 Now your software update are opened , select your options to update and click on Install update. This is how in simple way you can update your software application .